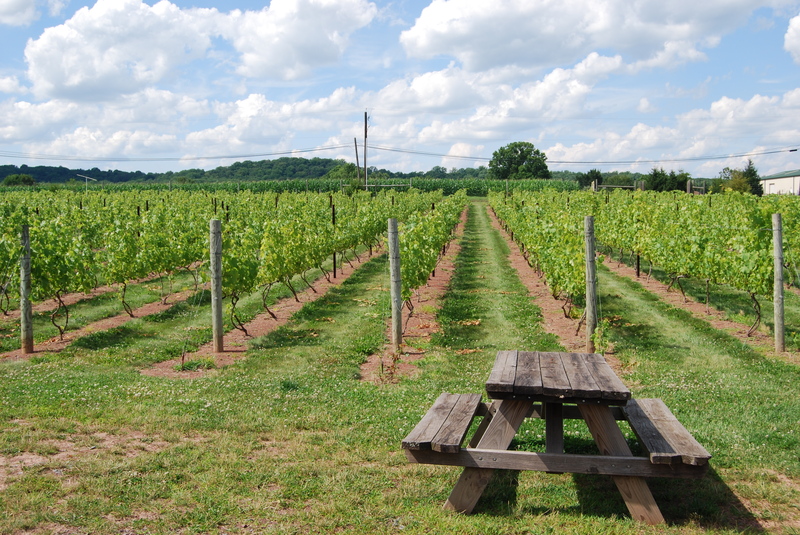 There is a beautiful vineyard in Hopewell, New Jersey with amazing wine, nice people, and beautiful views. In fact, it was that vineyard where my husband, stepson, and I celebrated our family union with our friends and family last year. I took this photograph at Hopewell Valley Vineyard when I visited recently. I thought this picnic table looked like the most delightful place to relax with some food and wine. Don't you agree?